During a trip to Greece, some friends and I went to eat at a fine-dining restaurant in Athens. I’m not new to such restaurants so it wasn’t really something that amazed me — but what did amaze me was the Mediterranean cuisine they pride themselves in. With wine and the smell of olives at every corner, the first bite really takes you to a wonderful gastronomic journey. I fell in love with Mediterranean cuisine so much that back here in America, I found myself looking for the same great dishes that I had experienced back in Greece. In search of that exquisite taste, I’ve been through many restaurants this side of the East Coast — but none of them really had me coming back for more. Fortunately, I found this Southampton, PA restaurant called Da Bistro Mediterranean Grill. At first I was very skeptical about the quality of the food they served — given my batting average in trying out Mediterrean restos, I feared that my expectations would not be met. Nonetheless, I took a gamble and went there. 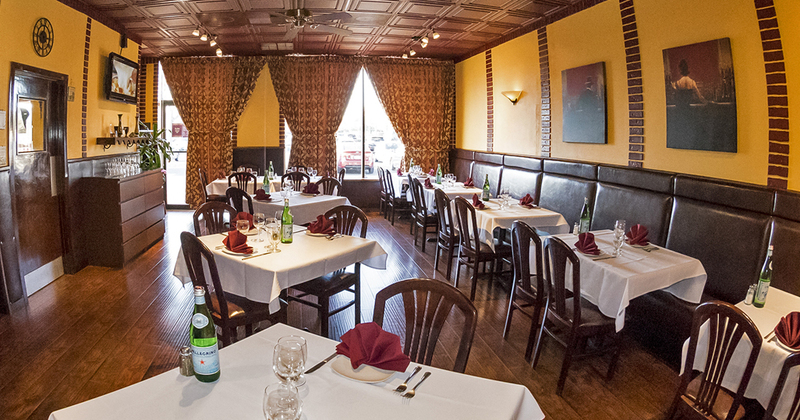 The first thing that you’ll notice as you enter Da Bistro Mediterranean Grill is the wonderful atmosphere. It’s like you’ve been transported to a different dimension as soon as you set food inside the resto. The lighting and the arrangement of the tables were perfect. You wouldn’t believe that a restaurant in Southampton, PA could do such magic with their interior. And if you want some privacy, they also offer fantastic rooms for intimate gatherings and specials occasions. The next thing to hit you is the way their staff does things. They were all overflowing with hospitality and they’re also very approachable. For me, the staff makes a restaurant worth eating in and they sure have great folks around. And what would a restaurant be without its food? For sure by now you know what my verdict is for Da Bistro Mediterranean Grill. It was the best and I know I’d be coming back for more. They serve up amazing, authentic Mediterranean cuisine curated by great chefs. It was also a Tuesday when I first visited the restaurant so I got myself FREE special Hummus! Every Tuesday, they serve free hummus when you order a meal or two, which really makes for great bang for your buck. If you’re a fan of Mediterranean cuisine, Da Bistro Mediterranean Grill is definitely a must-try.